High Potency Immune Support. 400 IU. The true strength of on Vitamin E. At ON, we care about quality and performance. And you deserve the quality and support to help you achieve your optimal performance. 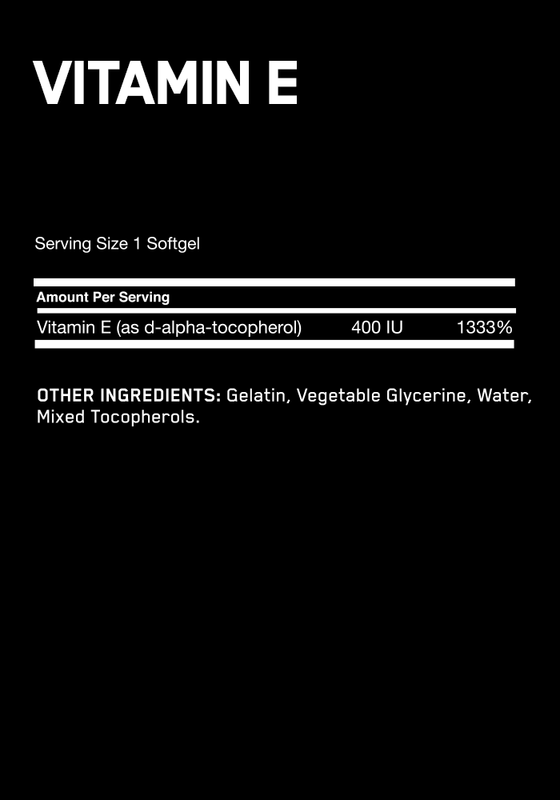 Vitamin E is recognized for its antioxidant properties and immune system support. Taking extra vitamins can be just the support you need, so you can stay active, stay training, and stay in the game.